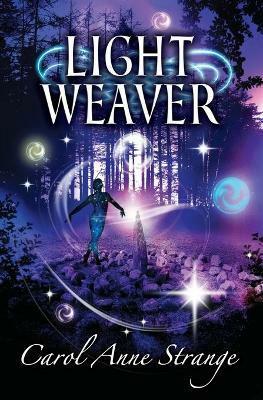 Light Weaver is a contemporary story with a fantastical twist set in the English Lake District. It's a tale about love, transience, and the nature of reality. What if your world was no longer what it seemed? Strange and inexplicable things are happening in the Lakeland fells ... light orbs dance over mossy crags, symbols miraculously appear in grassy lowlands, and Cali Silverthorn keeps disappearing into other worlds. Mobile librarian, Tom Philips, is captivated by free-spirited Cali but is struggling to make sense of her remarkable abilities and the escalating strangeness impacting ordinary rural life. As beliefs are challenged, Tom and Cali's love becomes the only constant in a questionable reality as they face the heart-breaking realisation that Cali may soon disappear for good.